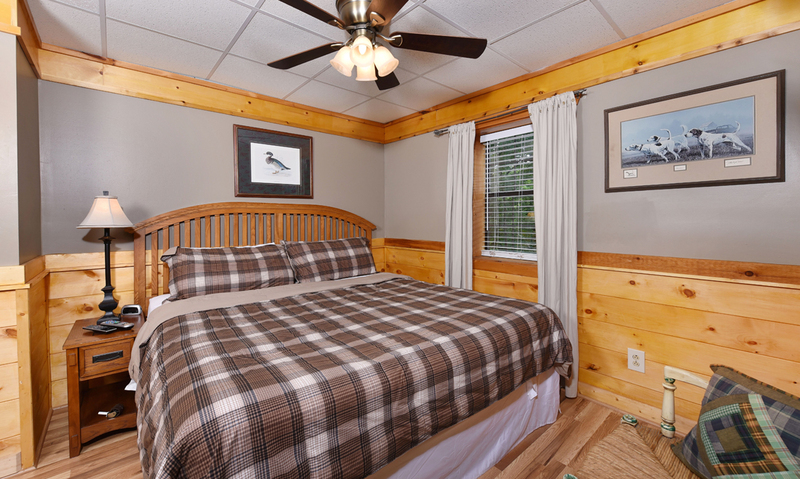 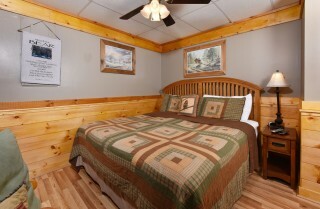 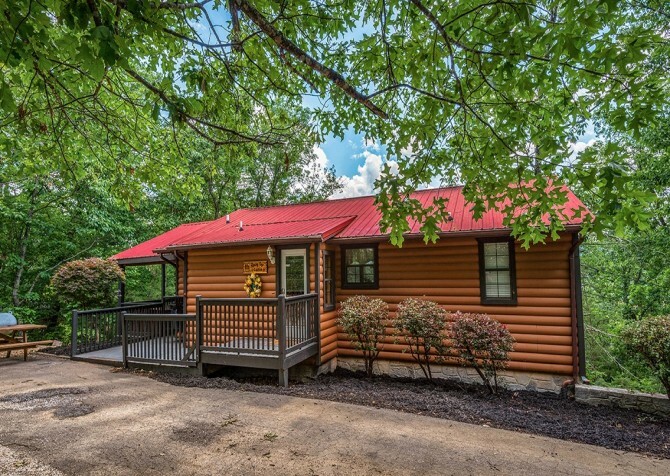 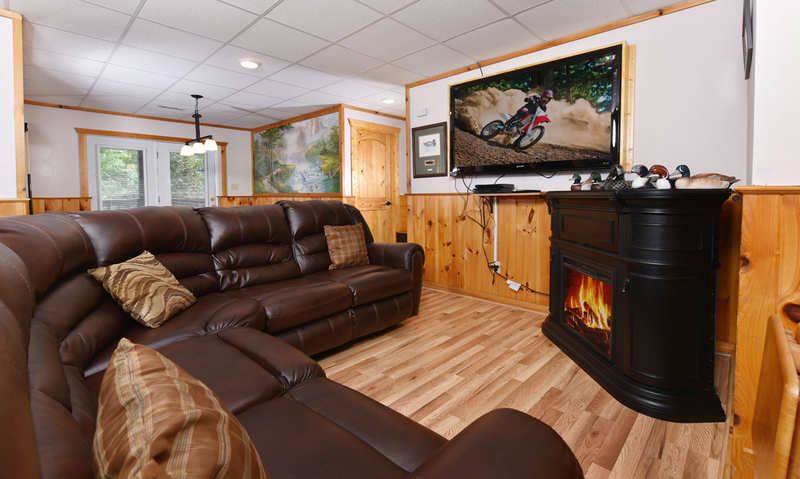 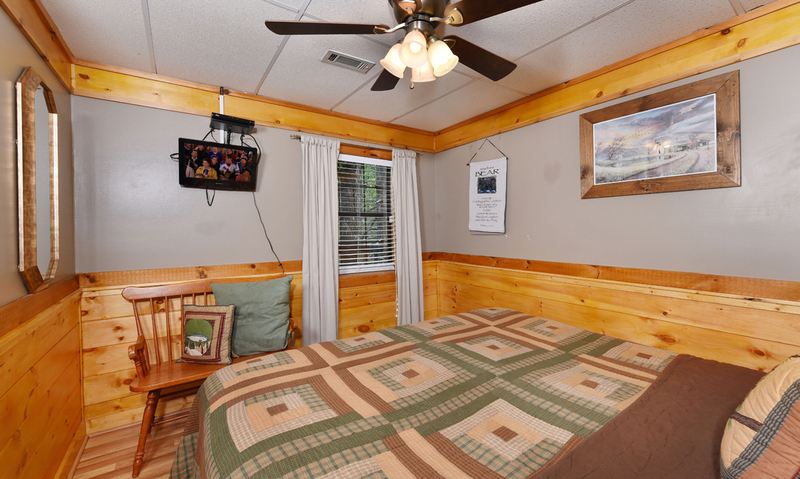 Never fear boredom while staying in this amenity-packed cabin nestled just a little over 1 mile from the downtown hustle and bustle of Pigeon Forge. Ride rollercoasters in Dollywood, eat and laugh at the Hatfield & McCoy Dinner Feud, and battle creatures at the Castle of Chaos by the Hollywood Wax Museum. Hundreds of attractions like these and a wide variety of others make it easy to plan an exciting vacation you and the family will look back on for years to come! 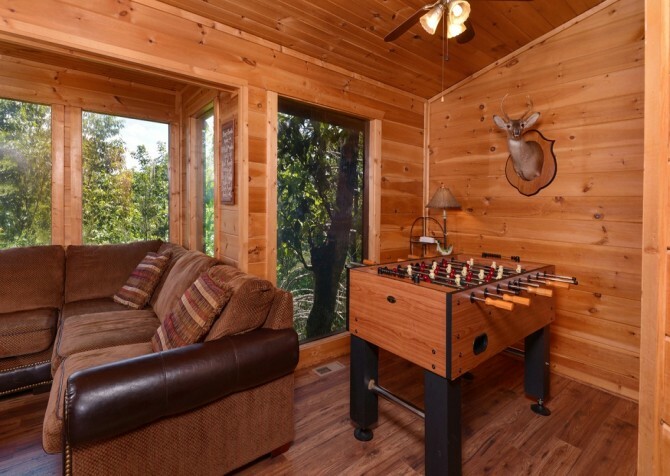 During downtime between excursions, lounge around the outdoor fire pit, play foosball and pool, or relax while rocking in the porch swing. 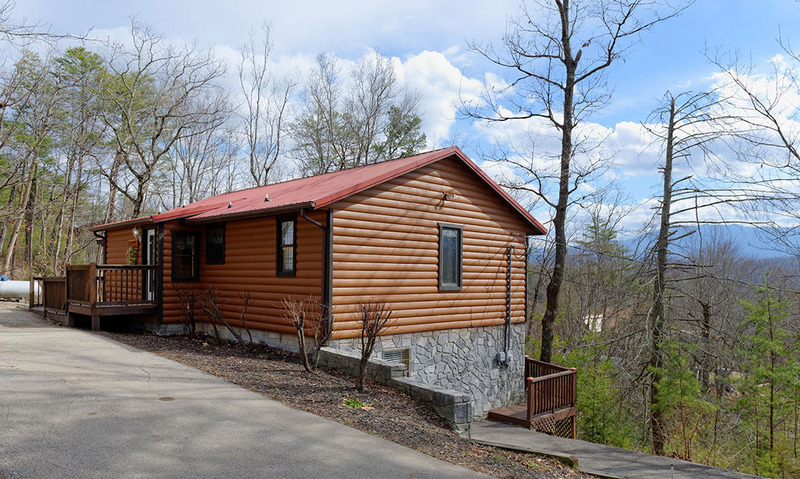 Experience the wonderful wide range of outdoor activities in the Great Smoky Mountains National Park such as whitewater rafting on the Pigeon River, horseback riding in Cades Cove, and ziplining high in the treetops. 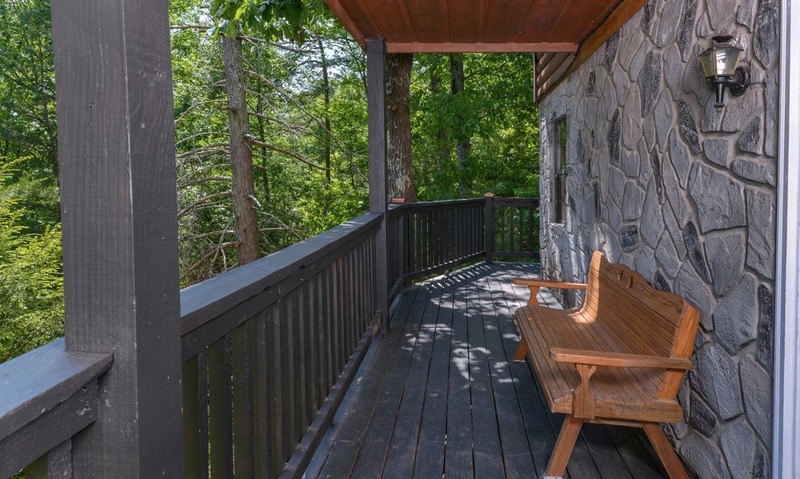 Take advantage of the federally protected, untouched nature of the Smokies and take scenic drives along Newfound Gap Road before heading back to the rest and relaxation of your cabin’s couches, cozy beds, and hot tub. 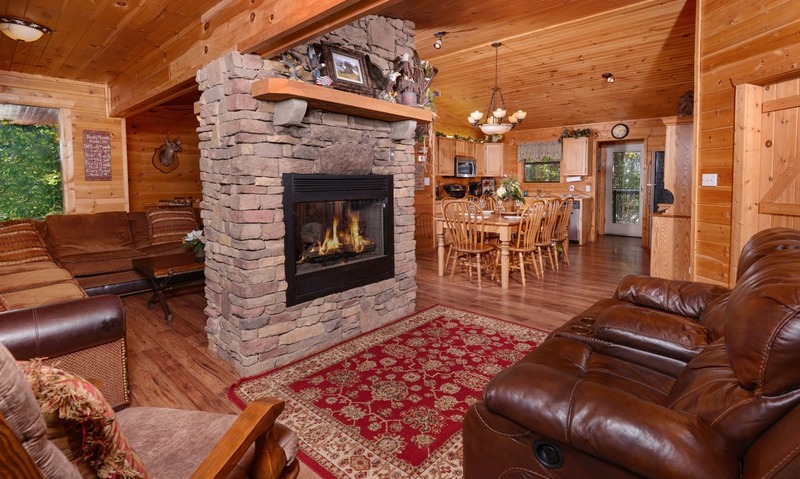 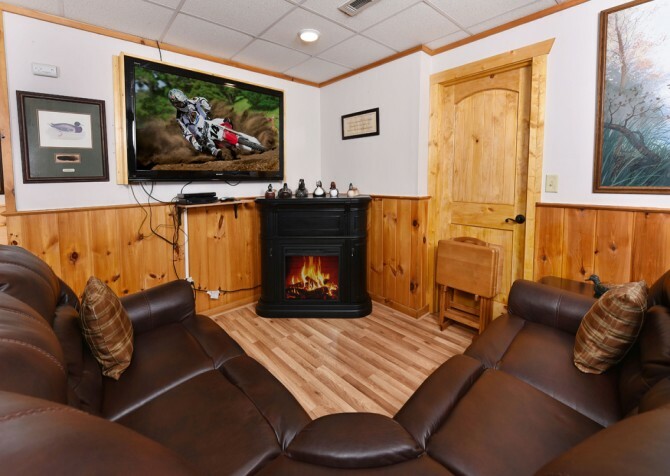 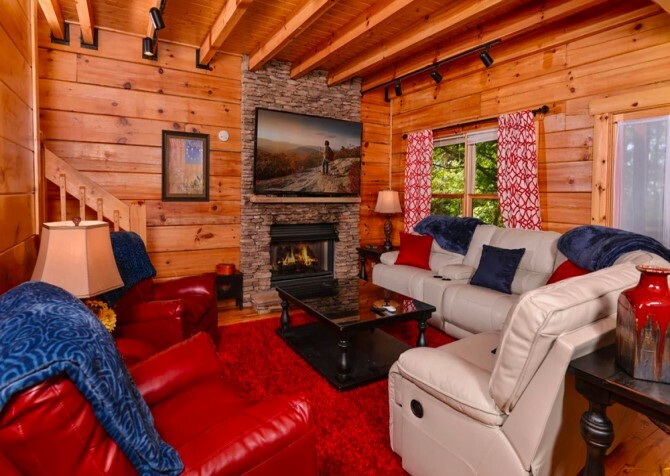 Take a seat on Rocky Top’s cozy couches and chairs to begin reconnecting with friends for a time of relaxation and escape from everyday life as soon as you arrive to your homey cabin abode. 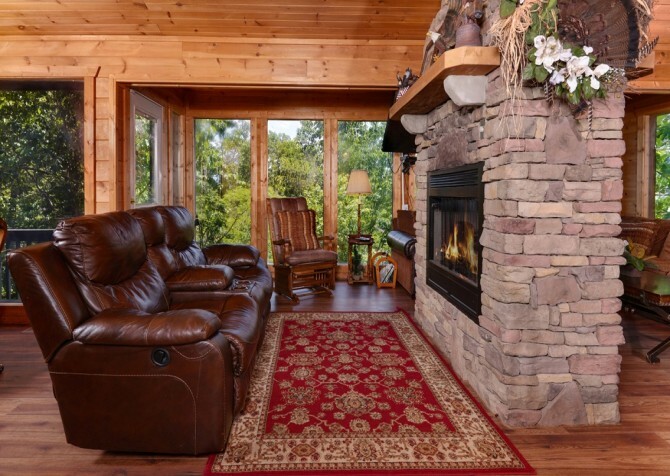 In between excursions, take advantage of your downtime with your favorite book in one of the leather reclining chairs in the soft afternoon light pouring in through the many windows. 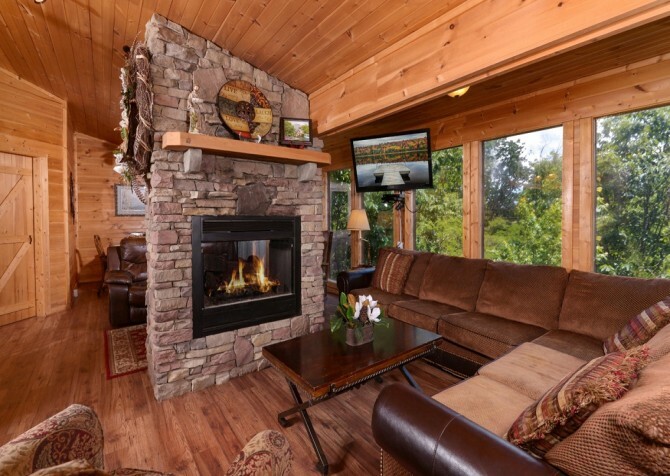 Tilt the large, mounted flatscreen TV to face either side of the fireplace, and cozy up for the big game in the afternoon (while others cook burgers and kabobs on the grill outside) or just chat and watch your favorite shows. 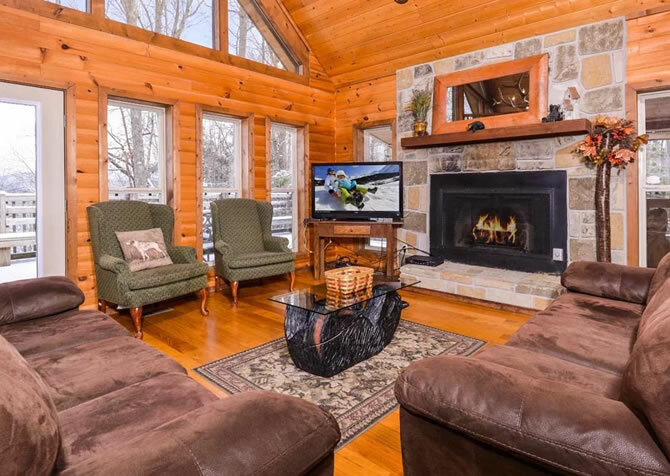 Gather together on the long sectional couch after dinner for card and board games on the coffee table while a warm fire burns in the fireplace. While hanging out in the living room in the evening, challenge friends to a rousing, hilarious game of foosball complete with smack talk. Easily prepare large breakfasts, lunches, and dinners in the spacious, open kitchen fully stocked with all the appliances and cookware you will need during your stay. 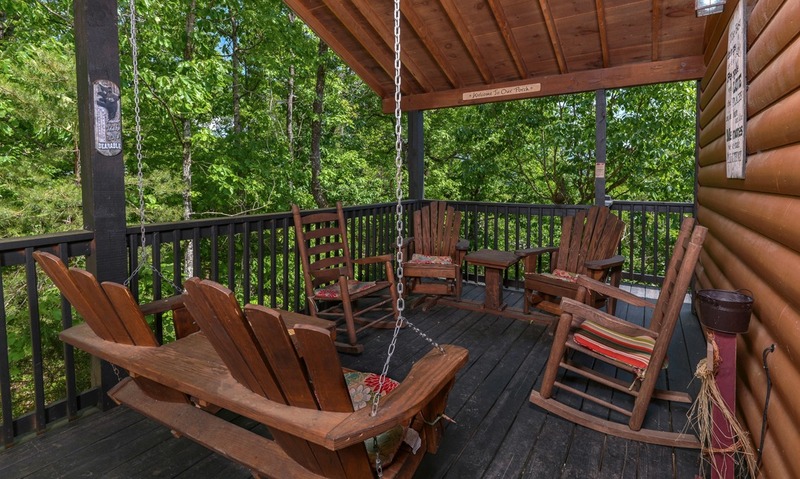 Time moves slower in the mountains of the Smokies, so take your time rising from your cozy bed and head to the kitchen to brew some morning energy in the coffeemaker before sauntering outside to the porch for relaxing wooded views. 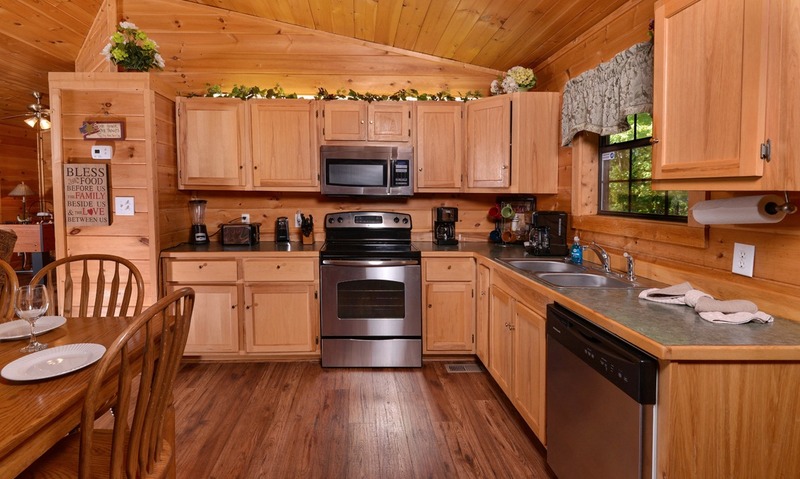 Bring leftovers from all your big delicious meals in Pigeon Forge to store and reheat in the microwave for the perfect quick snack. Plenty of counter space makes setting up for large self-serve feast easy when hearty appetites return from whitewater rafting on the Pigeon River. 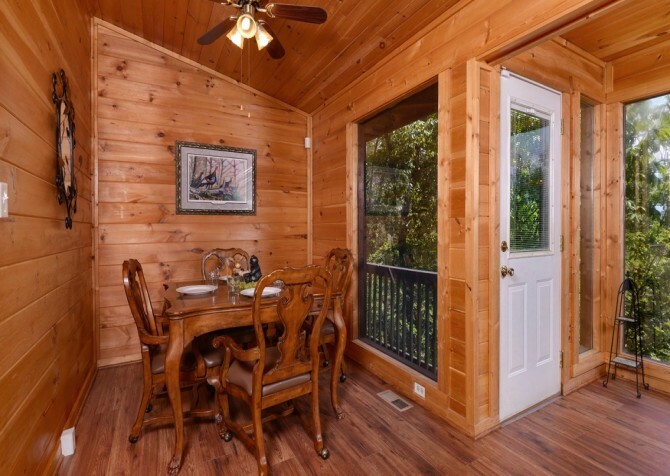 Under the soft light of the chandelier, toast to good times with family and friends around the long dining room table for a heartwarming dinner. 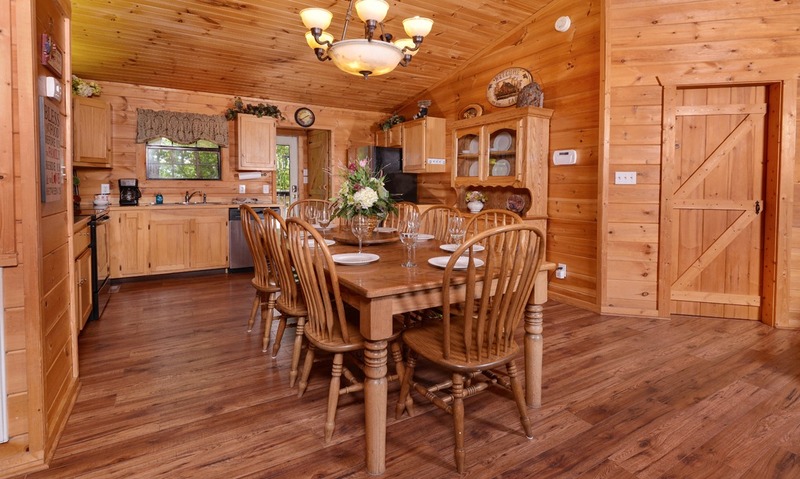 There’s space for 8 guests around the wood table – a place to enjoy homemade meals after busy days playing in Pigeon Forge and hiking in the Great Smoky Mountains National Park. In the late evenings, play rousing card games as you laugh and bond into the wee hours of the night. Bring your leftovers to the table for a midnight snack with another guest while you catch up on lost time. The dinner table is a staple of mountain life, so sit and enjoy one another’s company long after the meals are over. 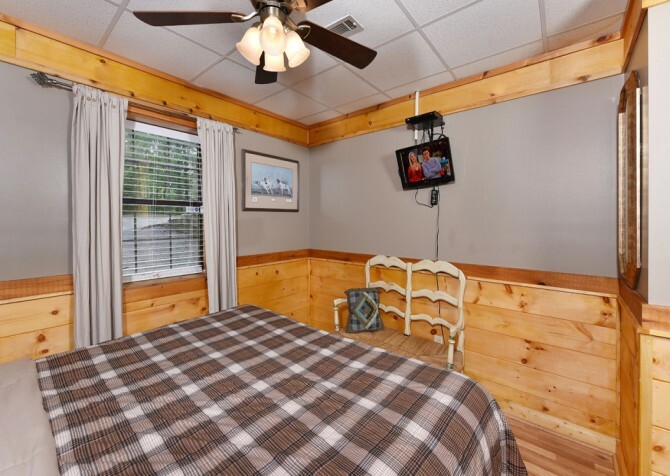 Feel rejuvenated when you join everyone for breakfast at the dining table after your restful night’s sleep in the one of the 5 cozy bedrooms in Rocky Top. 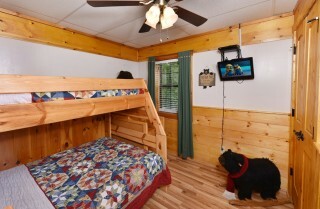 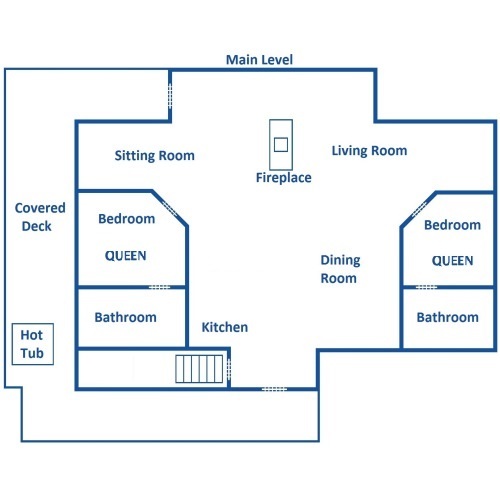 The entry level has 2 suites and queen-size beds perfect for couples who want their privacy away from the kids. 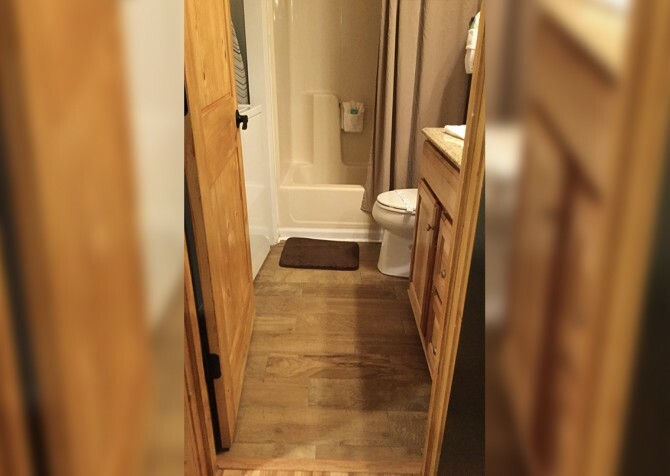 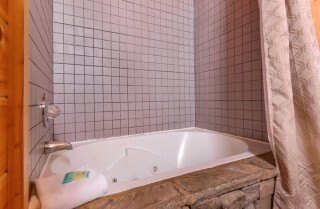 On the lower level, the 3 bedrooms – 2 twin beds in one, king-size beds in the others – share a convenient bathroom located on the same floor, making it easy for groups to get ready for dinner and shopping in the evening after morning hikes in Cades Cove. 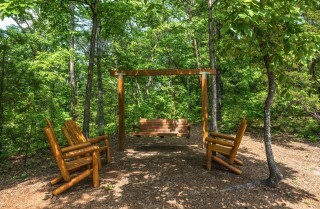 Need some time away from the group? 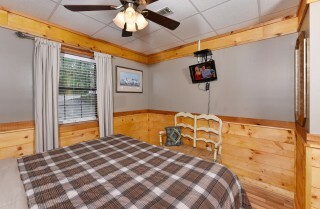 Snuggle under the covers and turn on your bedroom’s TV for a perfect show to fall asleep to during your afternoon nap. 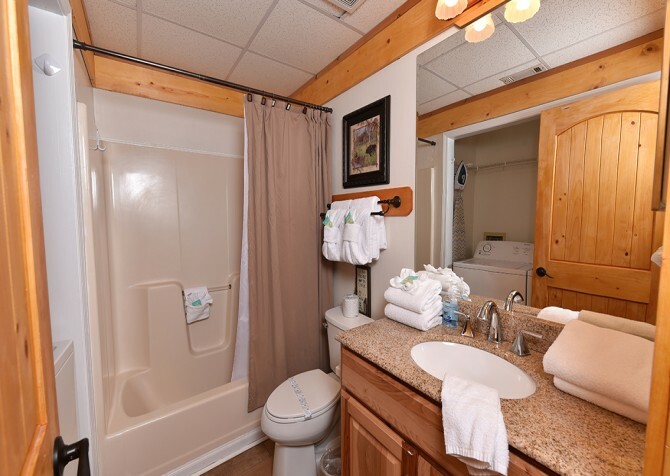 Once you wake up from your relaxing nap, grab the perfect outfit for dinner at The Old Mill Restaurant to begin getting ready for another delicious meal in Pigeon Forge. 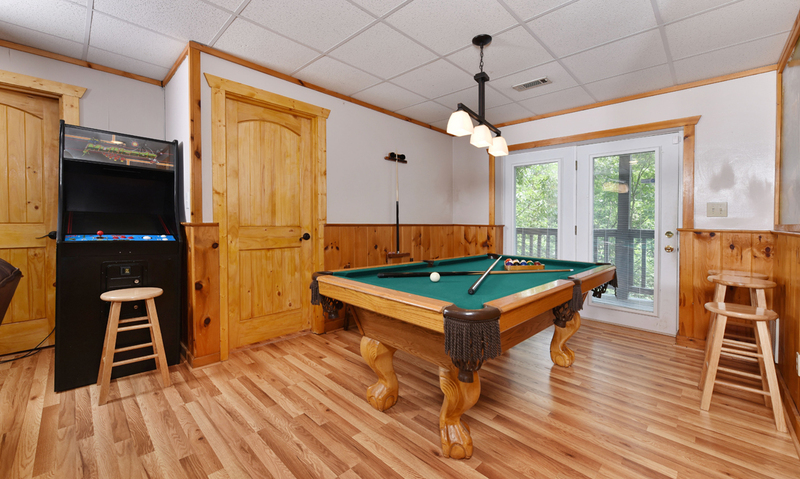 While the adults are upstairs preparing dinner, kids and teens will easily stay entertained as they play pool and the authentic arcade game located in the game room! 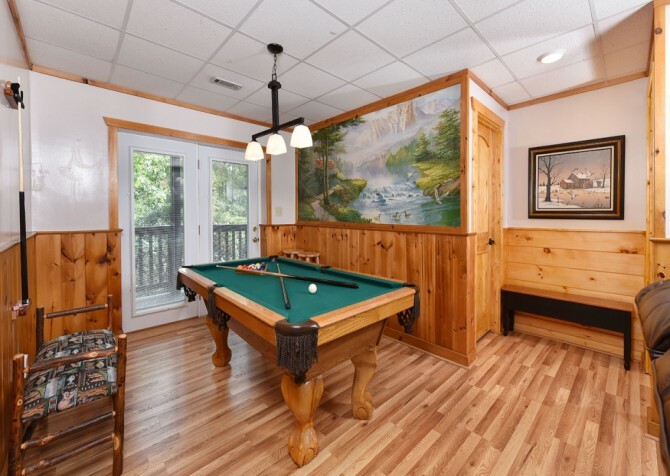 Grab a cold drink and challenge another guest or work on your game alone while waiting for the other guests to get ready for a night out on the town in Gatlinburg. When those summer afternoon showers hit unexpectedly, the game room is a perfect solution to keep everyone happy in Rocky Top. One of Rocky Top’s most impressive qualities is the outdoor space! In the early mornings of spring, bring your tea or coffee to the covered deck and rock on the porch swing as the birds and wildlife sing songs of new life blooming. In the autumn afternoons, bring the perfect grill foods to cook outside on the charcoal grill while you prepare for the big football games to kick off. 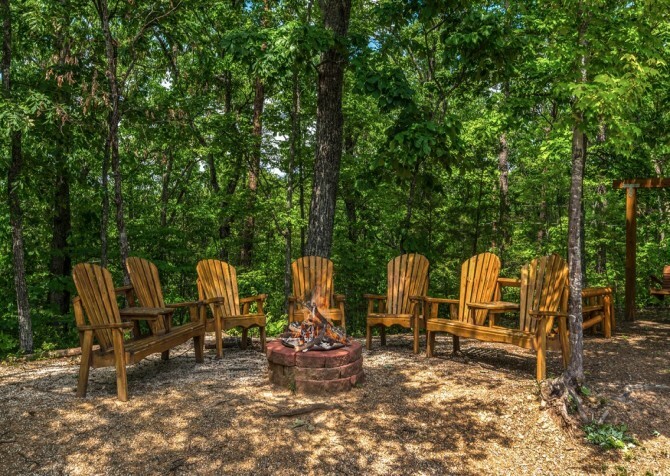 Gather in the evenings during summer and winter in the chairs around the fire pit to make s’mores and drink hot chocolate as the flames dance in the dark. 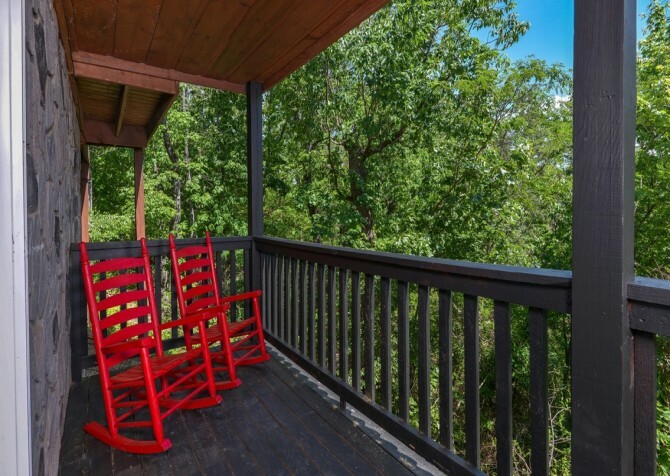 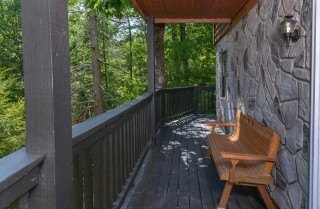 The fresh mountain air is perfect for settling in to one of the rocking chairs and reading a good book or listening to your favorite podcast. 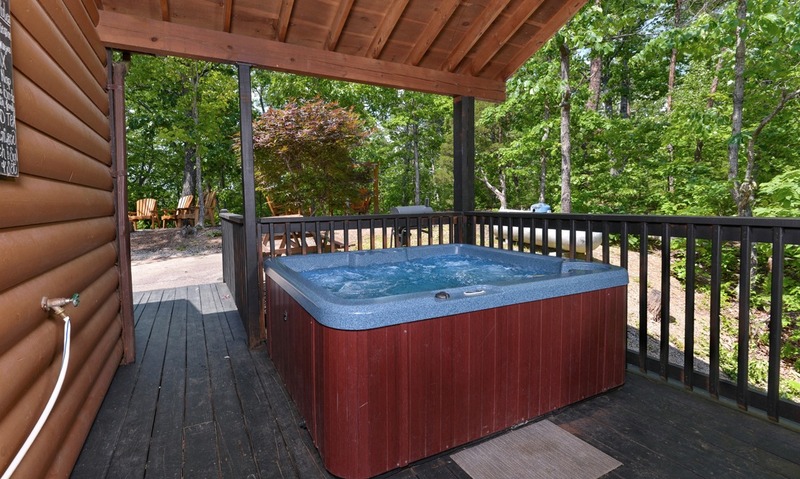 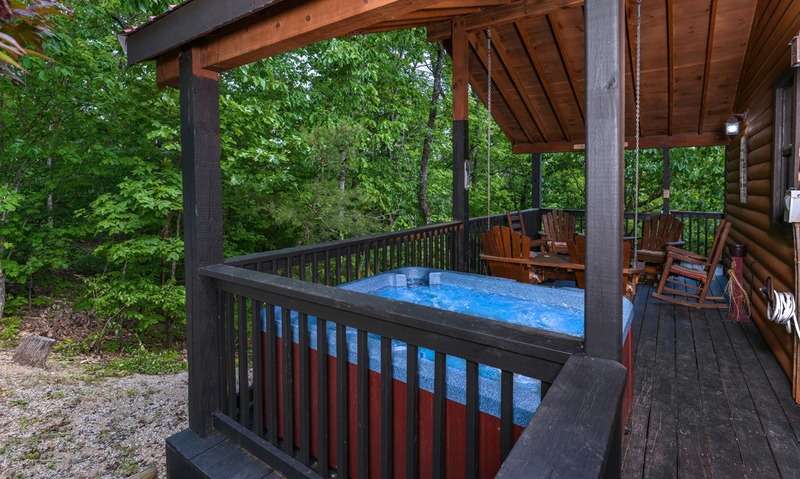 After hiking through the beautiful Great Smoky Mountains National Park, soothe tired muscles in the therapeutic bubbles of the outdoor hot tub while enjoying secluded wooded views on the back deck. Bring your family and friends for a truly unique, fun experience with Flyaway Indoor Skydiving where you can get the thrill and feel of flying without ever jumping out of a plane! Flyaway is a great group bonding experience as you learn to control your body in the vertical wind tunnel and cheer each other on as you take turns. 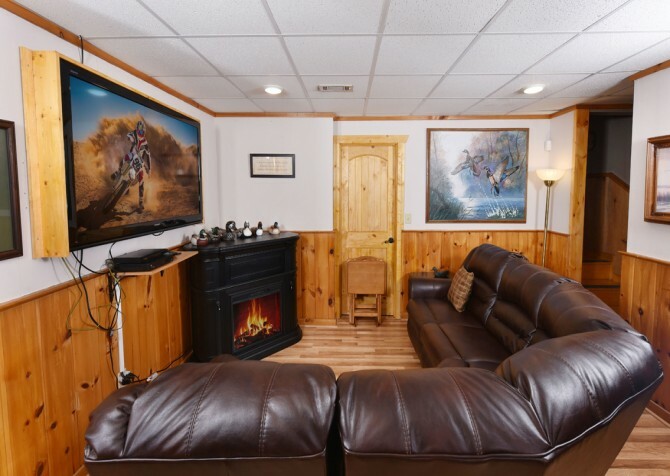 The indoor course is also a great precursor for those who desire to one day take the adrenaline-kicking leap out of plane someday! 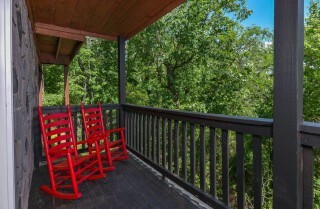 Think your cabin deck has some good views? 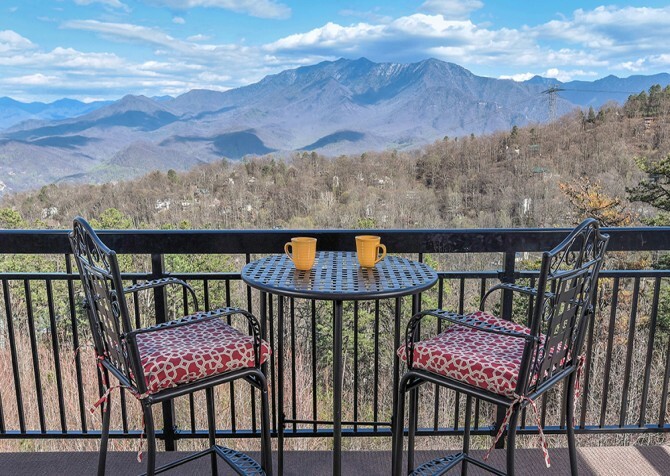 Experience the Great Smoky Mountains from the most inspiring viewpoint possible in the sky from a helicopter! You and other passengers will have unparalleled and unobstructed views of the mountains, rivers, and valleys you will cherish for years to come. 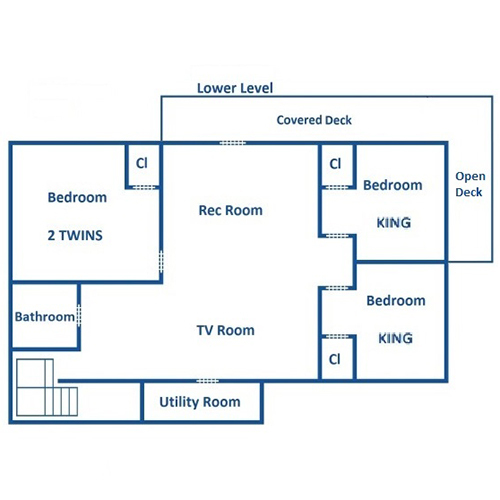 Priced according to the length and route, you can choose the right ride for your budget! Boasted as one of the most beautiful golf courses in Tennessee and voted by Gold Digest as “Best Municipal Golf Course in All 50 States,” you and other golf enthusiasts are sure to fall in love with the pristine, gorgeous charm open year-round. With some challenging holes paired with well-kept greens, no golfer of any level should miss out on this opportunity! 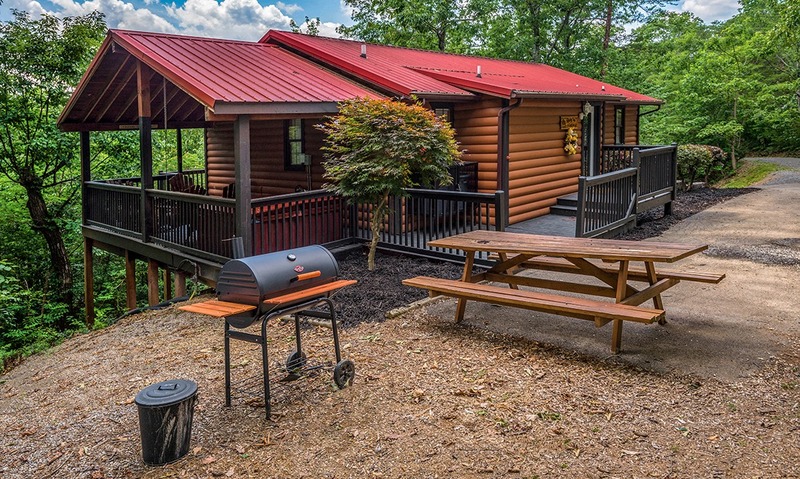 "We loved our stay at Rocky Top in Pigeon Forge. Renting with Cabins For You was painless and affordable for what you get. 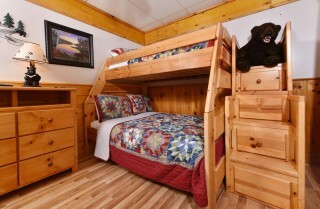 Our cabin was extremely spacious and could definitely fit more people, but worked out nicely with the 7 of us. 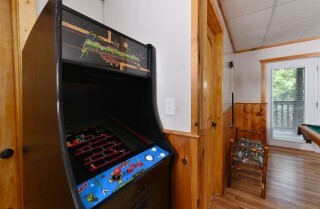 There was a fire pit outside, plenty of swings, a picnic table, a hot tub, pool table, a Pacman machine, and lots of rooms. The view is spectacular and at night you can see the lights from the city. 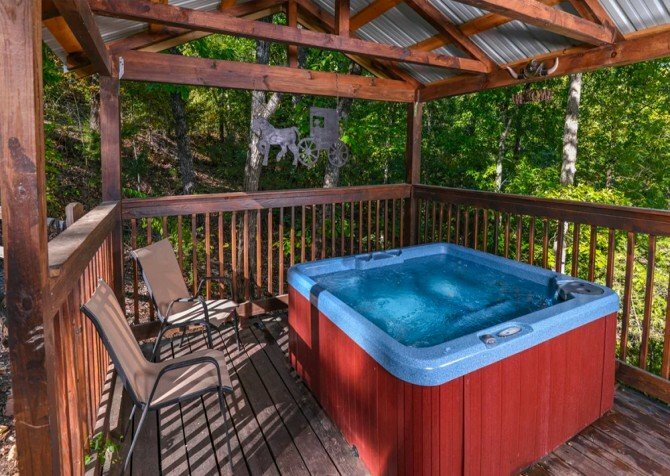 Totally in love with this gem! 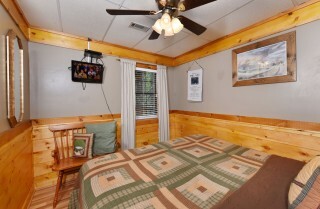 Can't wait…"
"We loved our stay at Rocky Top in Pigeon Forge. 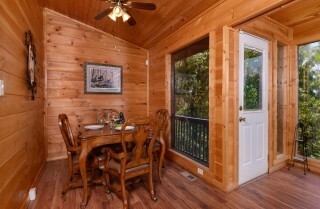 Renting with Cabins For You was painless and affordable for what you get. 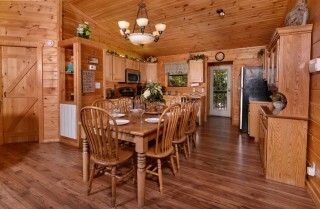 Our cabin was extremely spacious and could definitely fit more people, but worked out nicely with the 7 of us. 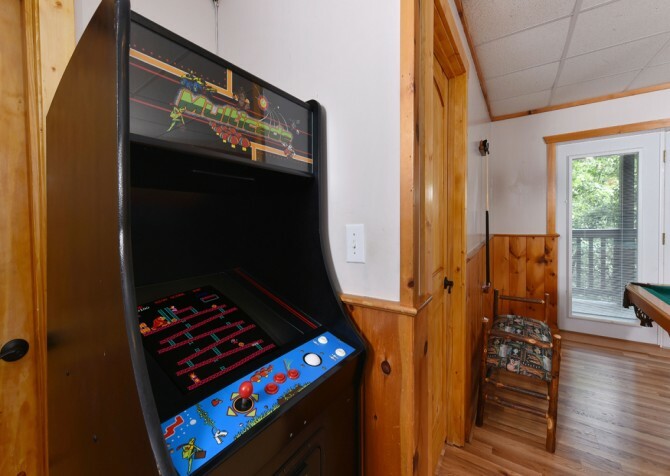 There was a fire pit outside, plenty of swings, a picnic table, a hot tub, pool table, a Pacman machine, and lots of rooms. The view is spectacular and at night you can see the lights from the city. 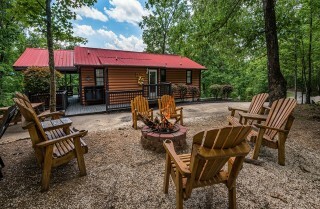 Totally in love with this gem! Can't wait to make it back."